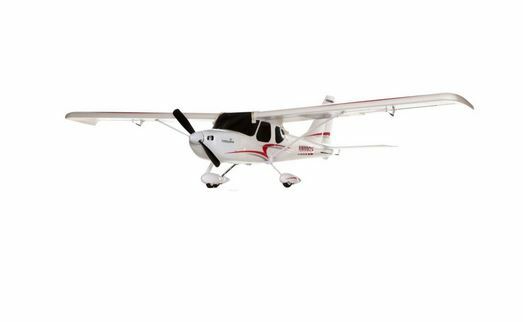 New pilots can take to the skies without hesitation and teach themselves to fly with the HobbyZone Sportsman S+. The Sportsman S+ is designed to be as intuitive as possible and comes loaded with SAFE Plus technology. SAFE Plus technology uses advanced attitude awareness and GPS sensors, which make it easy for nearly anyone to take the control sticks and successfully learn to fly. Landing is easy thanks to AutoLand technology and Panic Recovery Mode greatly reduces the risk of a crash. The combination of Virtual Fence and Holding Pattern also work to keep the aircraft within a comfortable range. A powerful brushless motor comes pre-installed. The Sportsman S+ will even appeal to aspiring aerial videographers, thanks to the included mount for the optional E-flite EFC-721 720p HD camera. This comprehensive combo includes everything needed to learn to fly in one box, making the dream of flight within easy reach for all who yearn to enjoy the thrill of RC flight. Ready-to-Fly version includes full-range Spektrum DX4e 4-channel 2.4GHz DSMX transmitter. 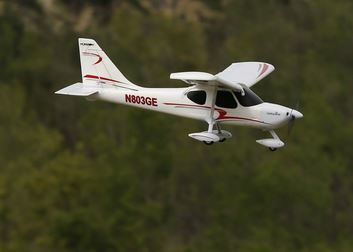 For more information on this exciting and capable beginner airplane, click through to HorizonHobby.com! Next New RealFlight 7.5 Update N Available – And It’s FREE!